Individual effort to raise funds for a good cause goes a long way when you have a generous crypto community as well as a social media platform to notify the world of your mission. One such individual is Twitter user @KingBlue_XRP who started an XRP donation drive to raise funds for the St. Jude Children’s Research Hospital. What an amazing community everyone has been so incredibly supportive.. 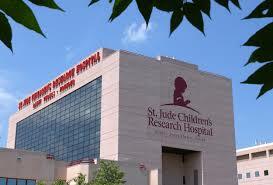 The St. Jude Children’s Research Hospital has since thanked @KingBlue_XRP and all contributors for their efforts. The hospital has promised to set up mechanisms to collect crypto based donations from generous givers from across the globe. The exact tweet can be found below. @KingBlue_XRP Thank you for your unique effort to collect XRP for St. Jude Children’s Research Hospital! We are in the process of setting up mechanisms to collect XRP and other crypto currencies from you and likeminded generous givers. Stay tuned!! Headquartered in Memphis, Tennessee (USA), the hospital’s mission is to advance cures and means of preventing catastrophic diseases affecting children. The founder of the hospital, Danny Thomas, believed that no child should suffer at a young age due to any disease. He also believed that no child should be denied treatment based on race, religion or the financial ability of the family. It is with this background that he founded the hospital in 1962 to further pediatric treatment and research. As of today, treatments invented at the St. Jude Children’s Research Hospital have helped push the overall childhood cancer survival rate from 20%, to more than 80% since opening its doors in 1962. The hospital has a unique operation model in that majority of its funding comes from generous donors. No family ever receives a bill from St. Jude for care and no family is asked to pay for insurance co-pays or deductibles. What are your thoughts on @KingBlue_XRP’s donation drive geared towards raising funds for St. Jude Children’s Research Hospital? Do you believe cryptocurrencies and blockchain will make the donation process more transparent and comfortable for individual donors like you and I? Please let us know in the comment section below.